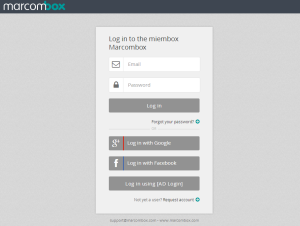 This is where you find guides and tutorials for you to have a smooth experience with Marcombox. If you don’t find the answers to your problems here you can always write your question to our support. 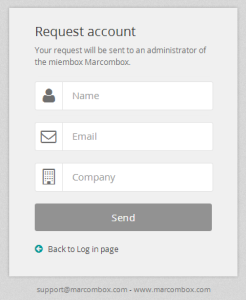 To get a user account in an existing Marcombox you will need to be invited by an Administrator. 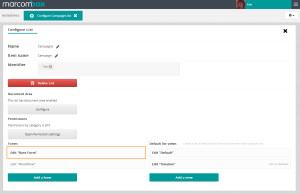 If you know the URL you can go to the log in page click the Request account link at the bottom: You will be asked to provide your name, e-mail address (corporate) and company name. Your request will be automatically routed to the site administrator for review and approval. Please send your name and email to support@marcombox.com and you will receive a sign up link and code. 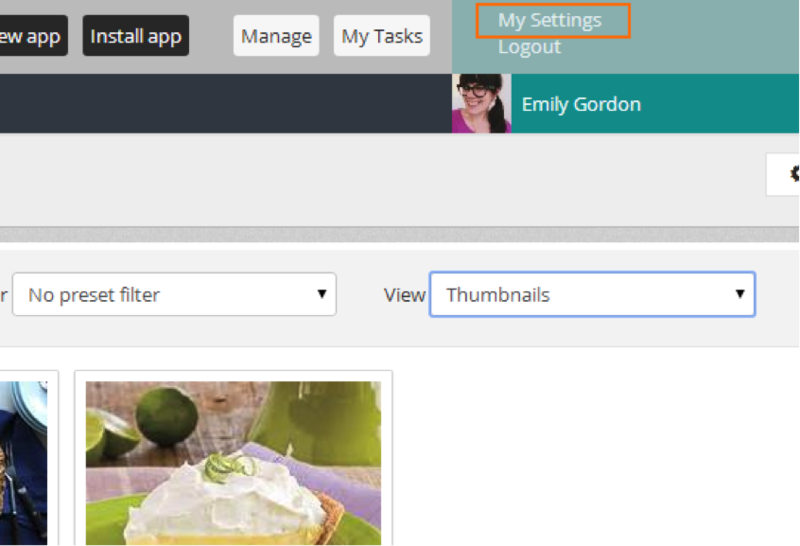 All options can be turned on/off in the Manage Settings section. 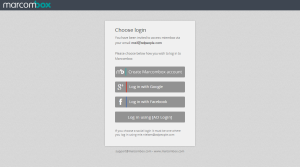 Marcombox Account lets users create a password upon sign up. 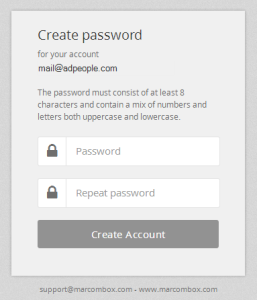 Afterwards the user’s email address (same one as the invitation was sent to) and passwords are required for login authentication. 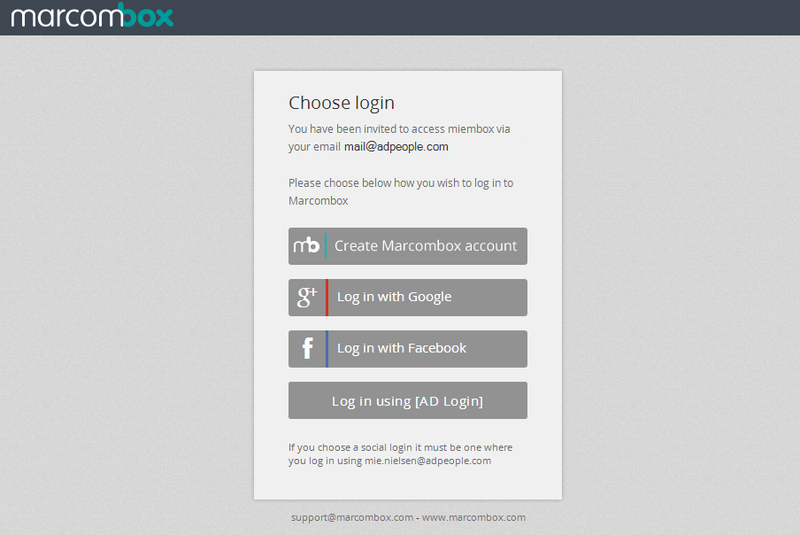 You can set up Marcombox to authenticate with Google and Facebook and let users log in with a single click. 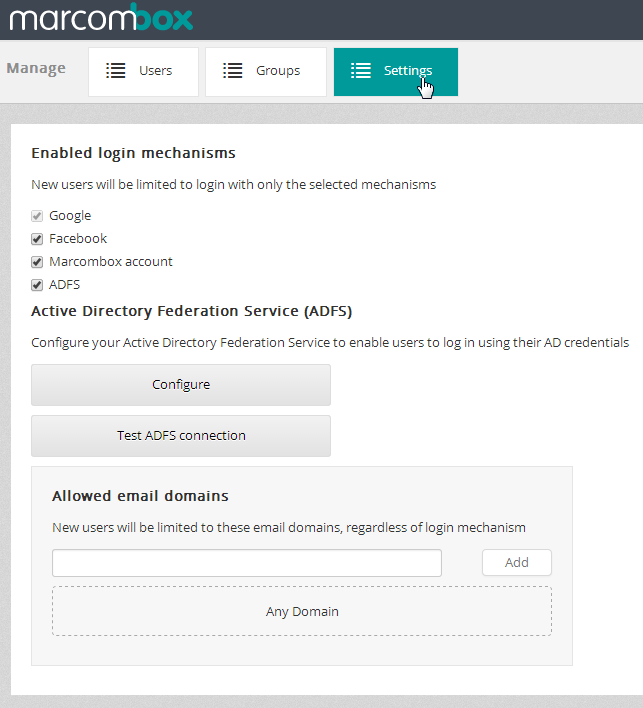 Add email domains if you want to restrict the emails used for user invites such as your corporation’s domain. To update your account settings click My settings in the top right corner. 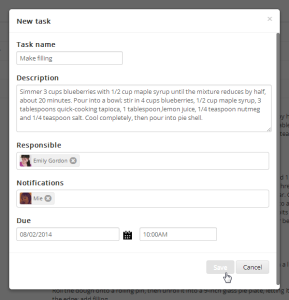 Your Notification Email is for receiving task and workflow notifications. 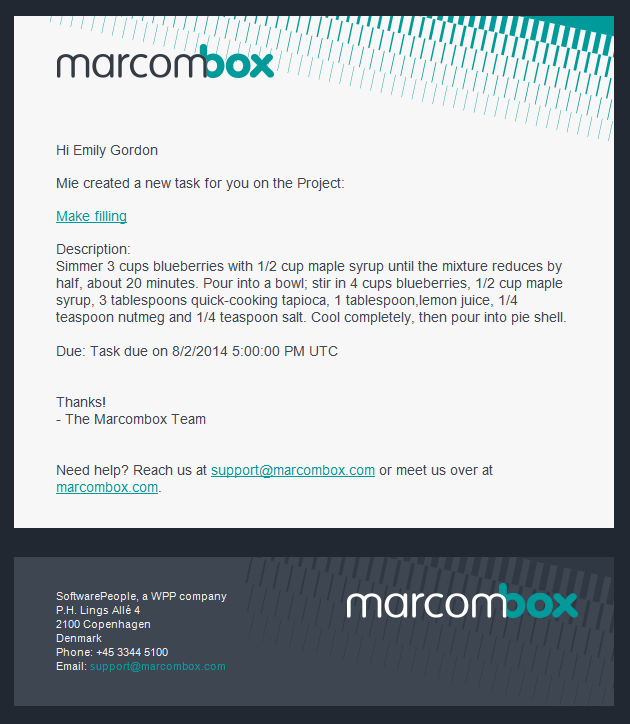 Apps and Lists are the core building blocks in Marcombox. 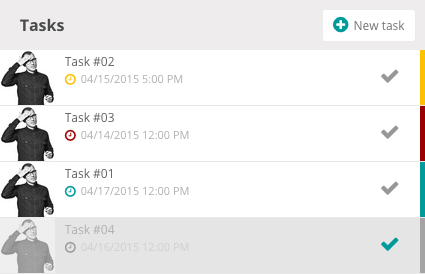 Apps work as separate spaces for a varying number of lists and lists are where you store your data and files. You can change any of the app settings in the app configurations area. 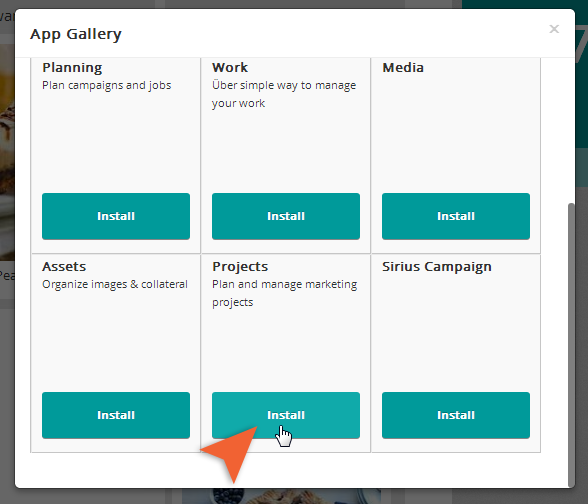 Click the Install button and the app along with lists and views are ready for use. 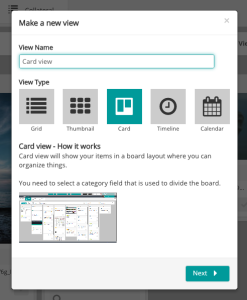 Tip: To view other app template settings, install the app from the App Gallery and click around. 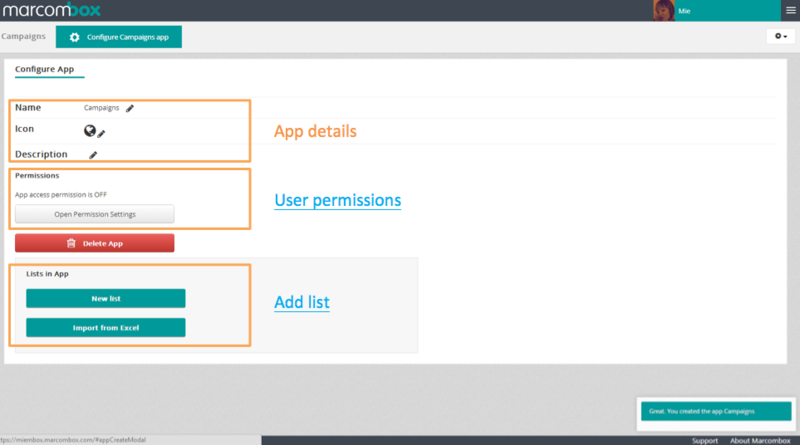 It’s easy to remove apps and lists again in the configuration area. 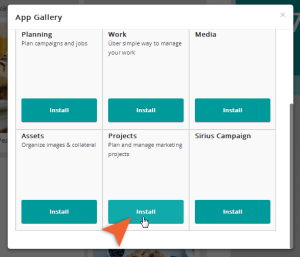 Click “Build new app” and name your new app. 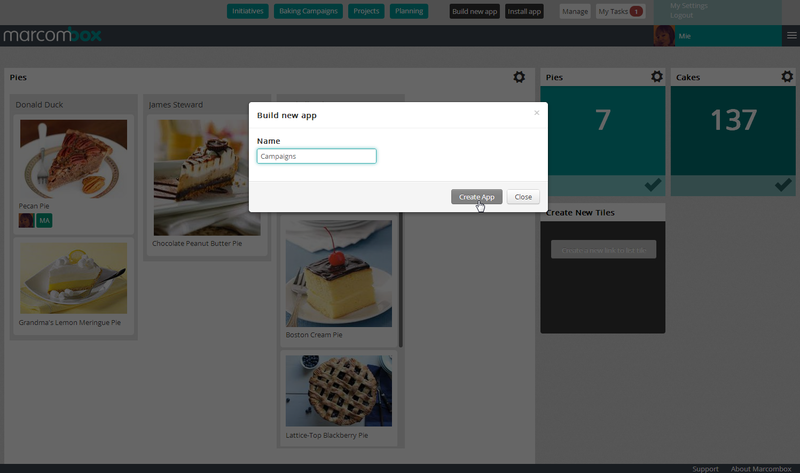 Click “Create app” to continue. 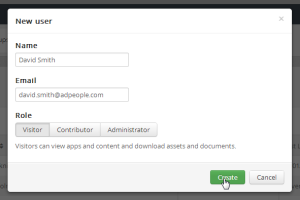 Add app details, set up user permissions, and create lists in the configuration area. 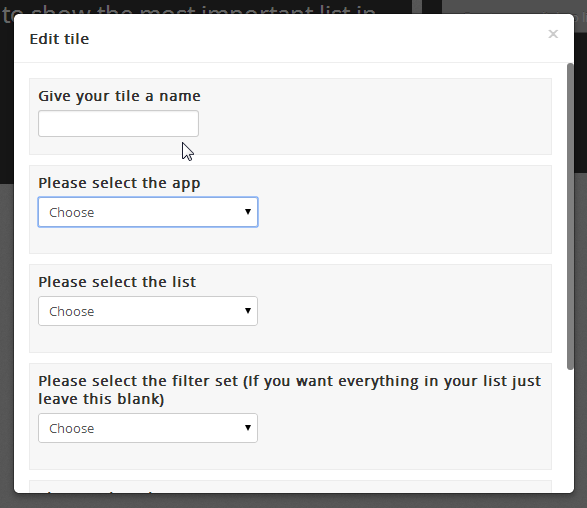 Type of list – Select normal list unless your list should work as a file repository only. List type cannot be changed later. Document area – Area for uploading multiple files to an item. Can be changed later. 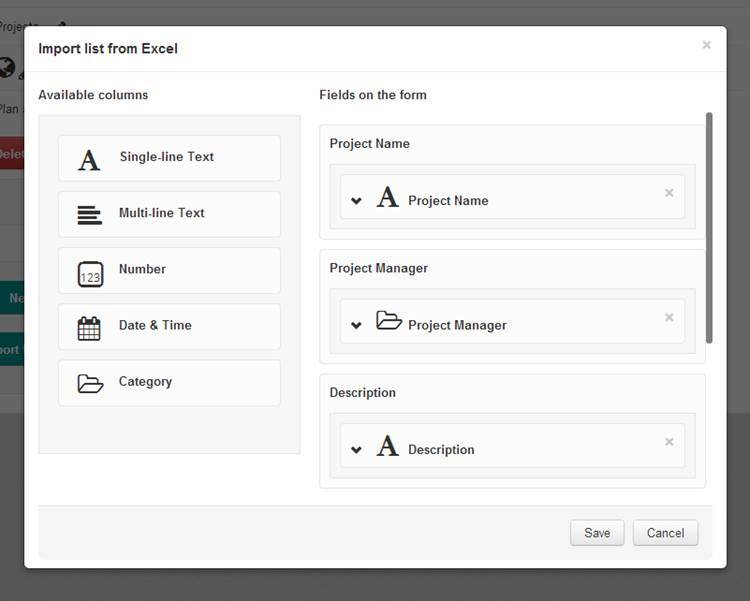 Import spreadsheets to create data filled lists automatically – each row will become a list item. Go to an existing app and click the cogwheel button in the far right side – select Configure [app name] – to go to the configuration page. Click the “Import from Excel” button and upload an .xls, .xlsx, or .csv file to the app. Please note: Make sure to have the data you want to import in the first sheet of your Excel document. 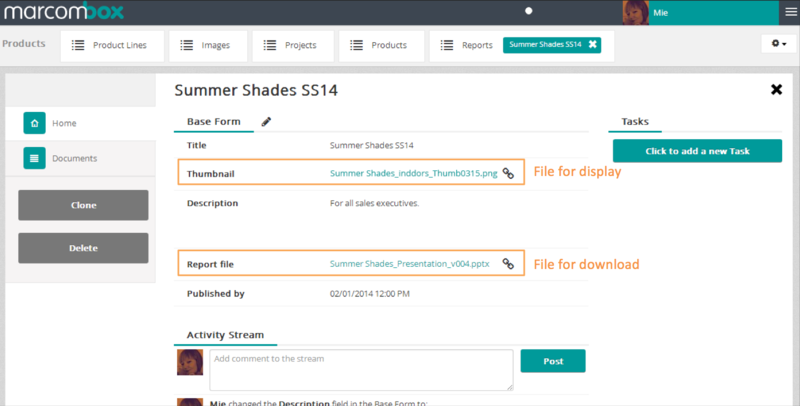 Go to an existing app and upload an .xls, .xlsx, or .csv file. 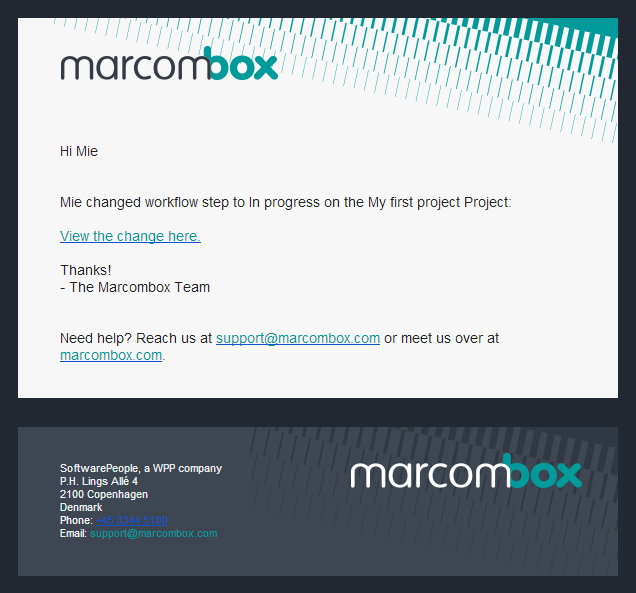 Click Save and all spreadsheet rows will appear as items in your new list in Marcombox. 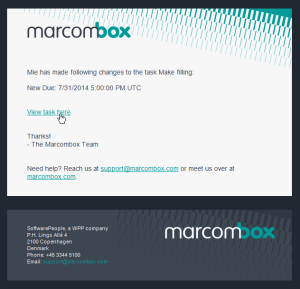 All Marcombox lists can be customized to suit your needs, work style and process. You can choose between 11 different form fields for metadata and add as many as you like. 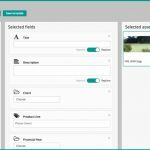 Simply drag and drop the fields from left to right. 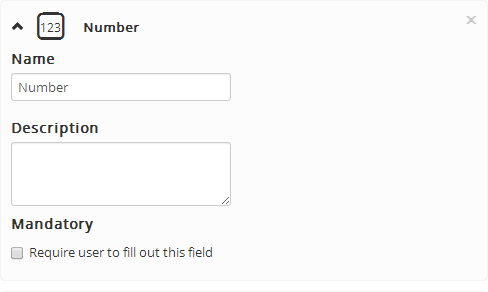 If you want to remove a field from the form click the “x” in the top right corner. 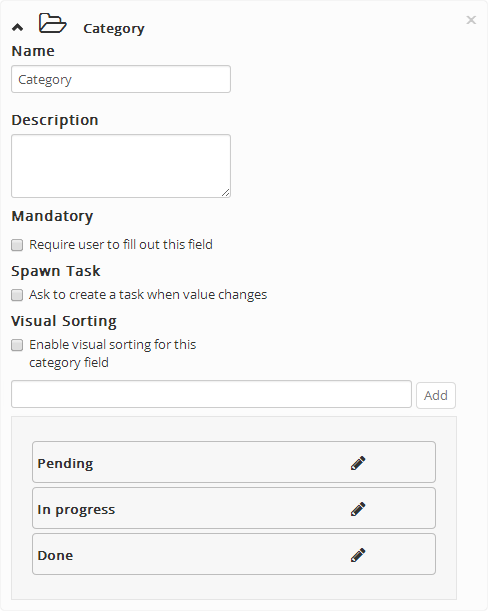 You can rename all fields as you please and set them as mandatory or optional for item creation. See individual field descriptions below. This field is often used for item name/title and, as the name reveals, the content is presented in one line. 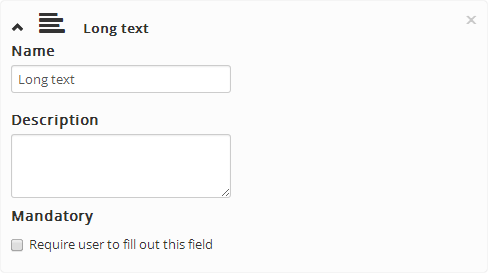 Add this field if you need a place to hold larger amounts of text such as descriptions, comments, and specifications. The number field is useful when you need to add prices, hours or other numeric values. 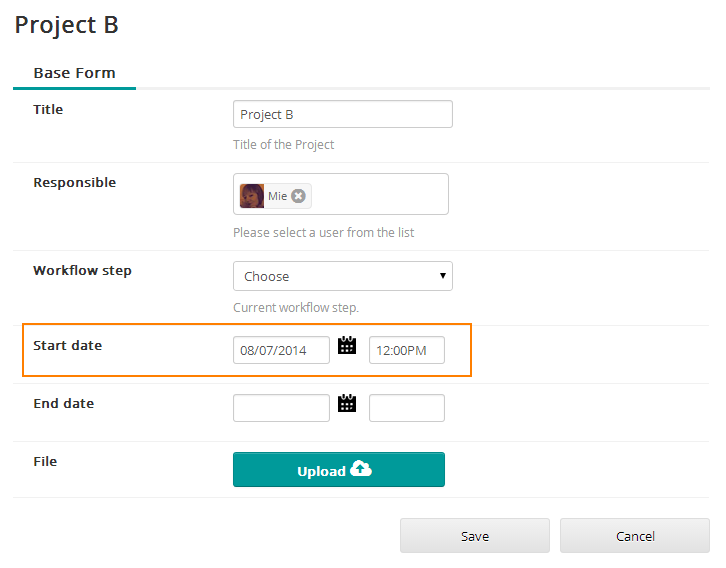 Add a Date Time field whenever you need to set dates and time of day for an item such as a deliverable deadline, project duration, release date, etc. 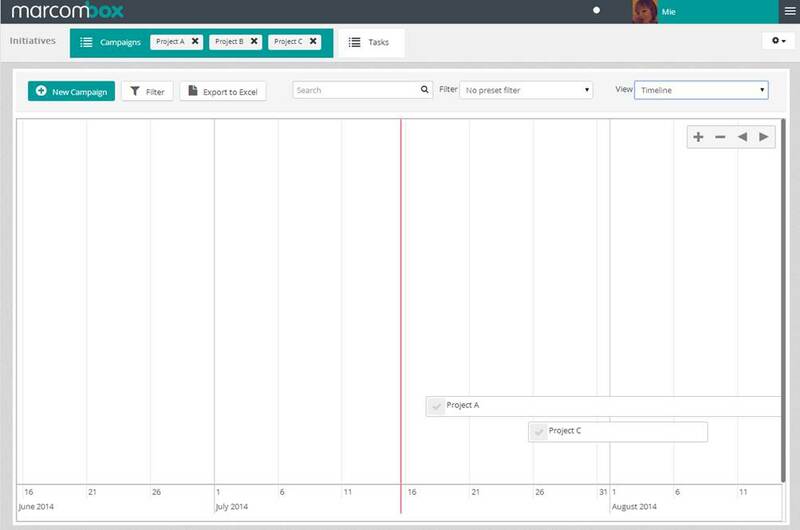 Date Time is required when you wish to set up a Calendar or Timeline view. Add 2 fields if you need both start and end date/time. For anything that requires a yes/no position add a checkbox. 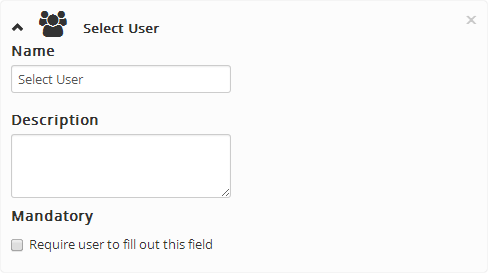 The divider field does not hold any data but works as a separator with a headline and a line inside your form. It’s convenient if you have a lot of fields and would like to ease the overview. 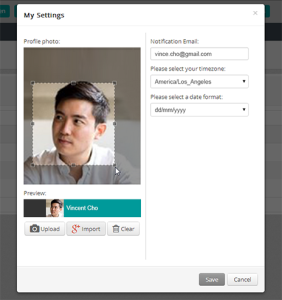 The file field allows single file attachments and can be used for thumbnail and card view. With the tags field you can assign one or more labels to your items like keywords, products, market segment, etc. 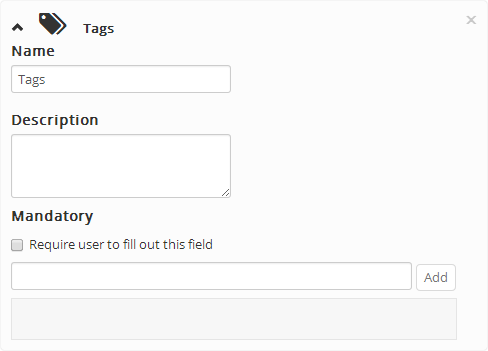 Tags are automatically added to filters as well which. 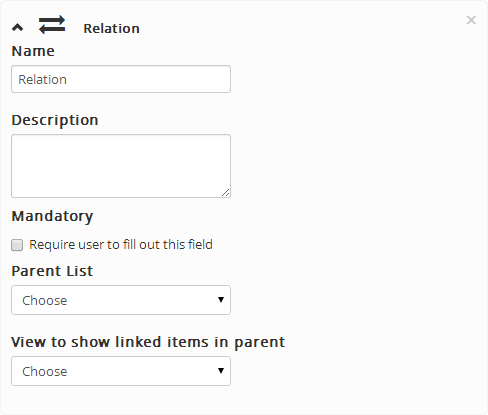 Use the relation field to link items in a list to other items in the same list or in a different list within the same app. 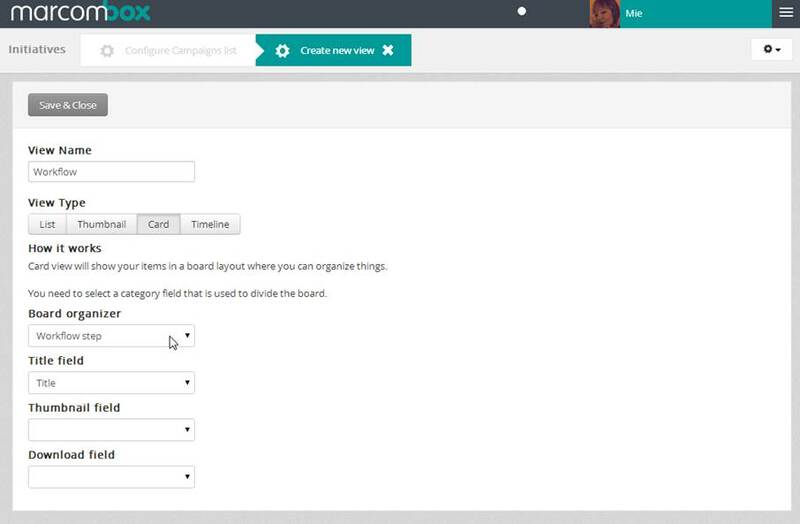 As an example, you can link a Campaigns list to a Deliverables list and thereby assign multiple deliverables to a specific campaign. 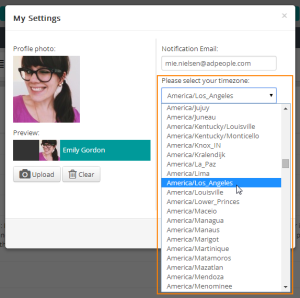 Choose a parent list in the dropdown – i.e. the list you are pointing towards (in the example above it would be the Campaigns list). 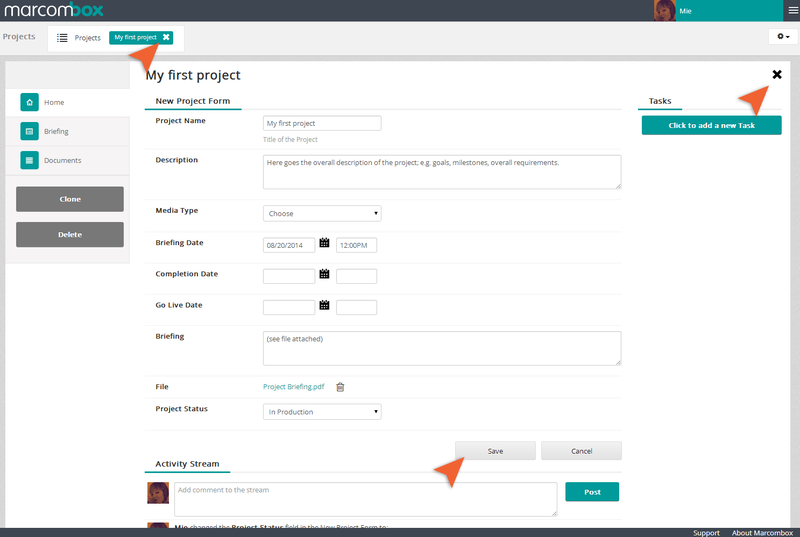 A new tab will appear in the parent list which displays all the assigned items from the child list (the Deliverables in our example). 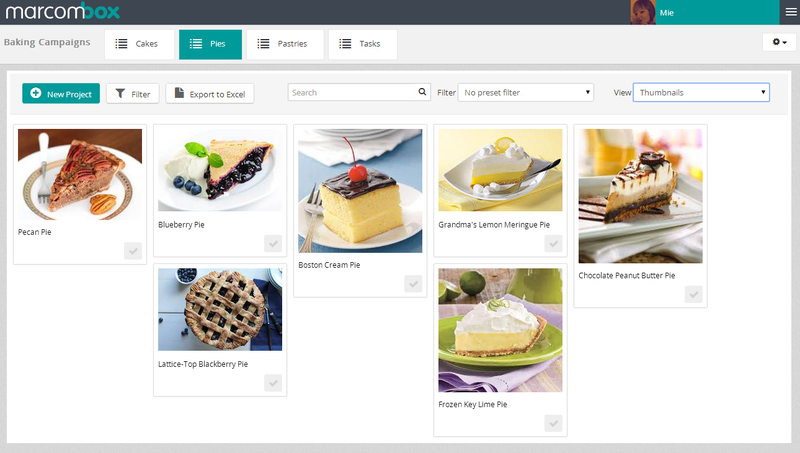 Select from the available views how the related items list should be displayed. 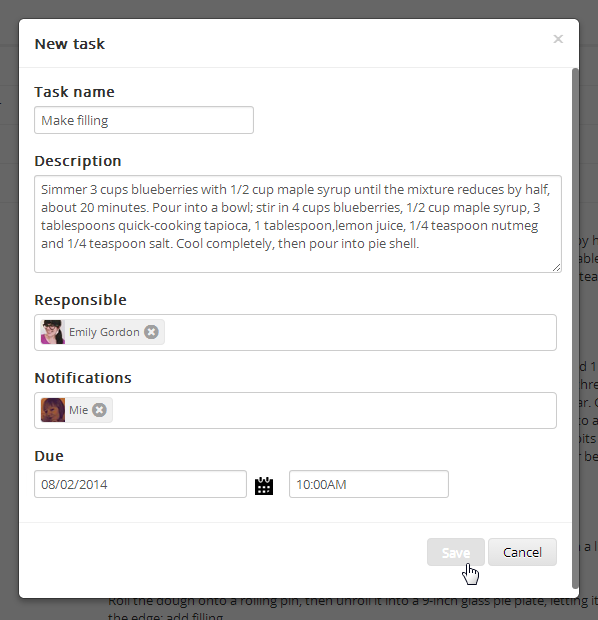 A new tab will appear in the parent list item page. Here the related items are displayed. 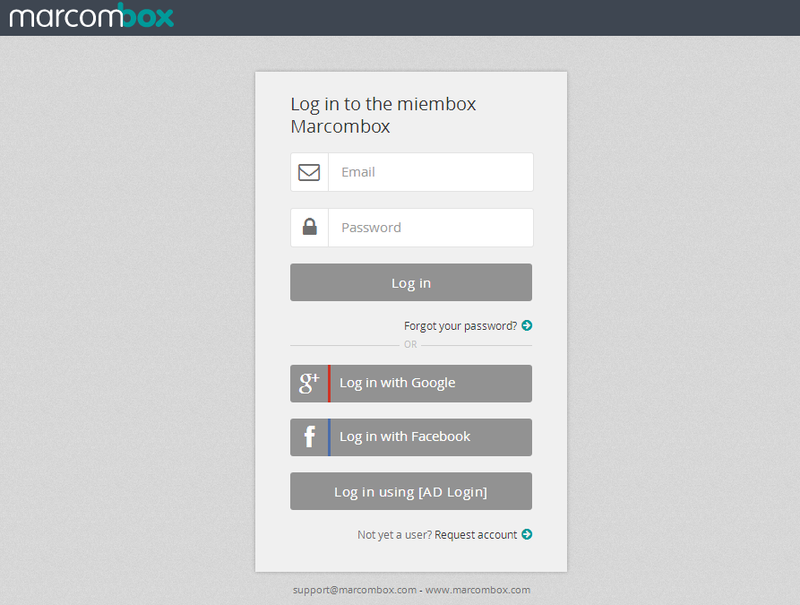 The user field enables you to select from the Marcombox user list. 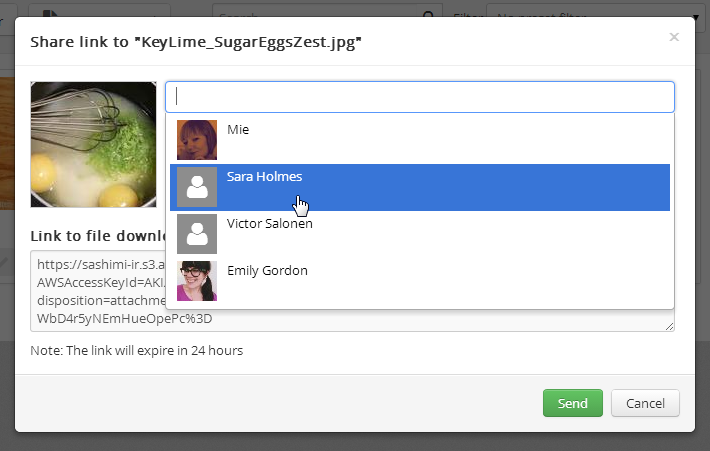 Please note that user permission settings may limit the available user group. 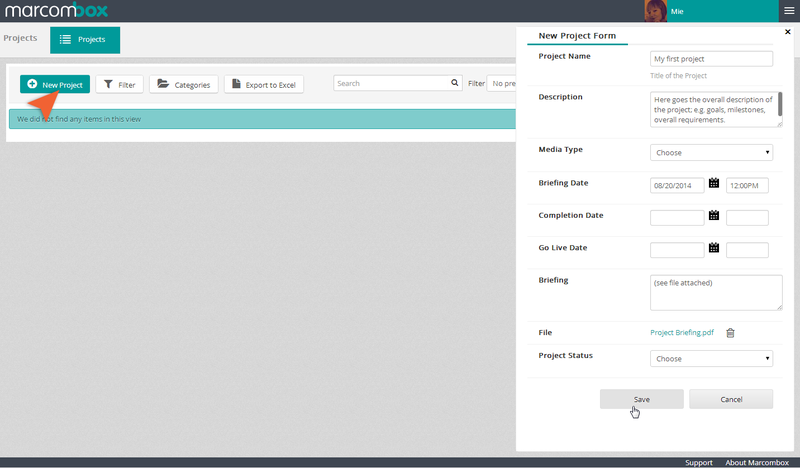 It is possible to create an additional form with data fields similar to the base form, for instance if you want to keep briefings or budgets in a separate area. A new tab will appear in the item page and you can add and edit form fields just like the base form. 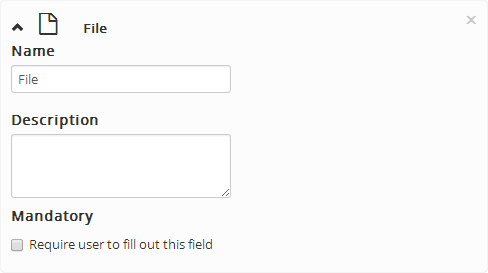 Please note that additional forms are not searchable. 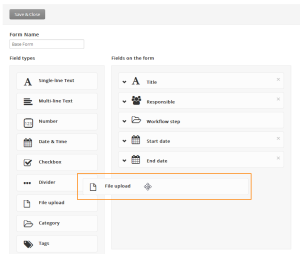 An item can either refer to an uploaded file in a file list or an item form in a normal list. 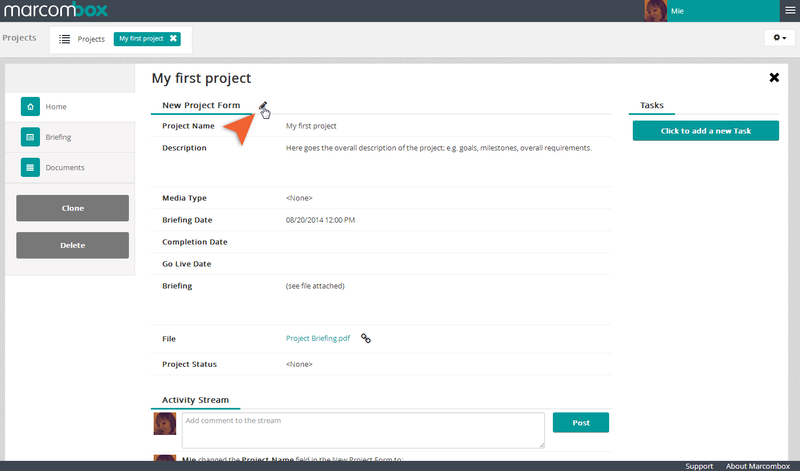 In the example below, the Projects app has been installed along with the Projects list (a normal list). 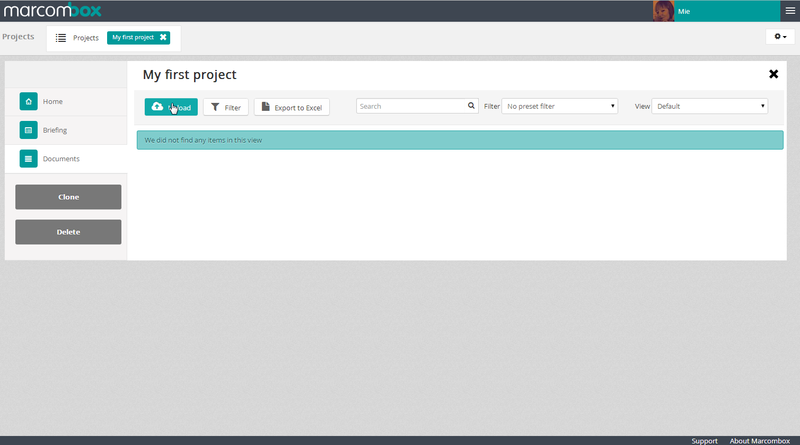 Click the “New Project” button and the item base form appears in the right hand side. Fill in all the information you need and click Save. The newly created item is now visible in the list. 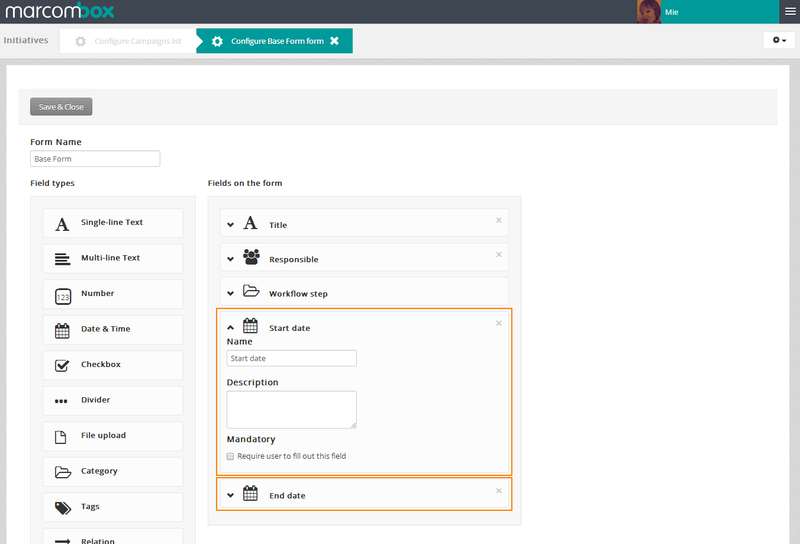 Click the list item to open it and for editing, adding files to the Document Area, fill out additional forms, edit workflow teams, or add a task. The base form is visible in the first tab. 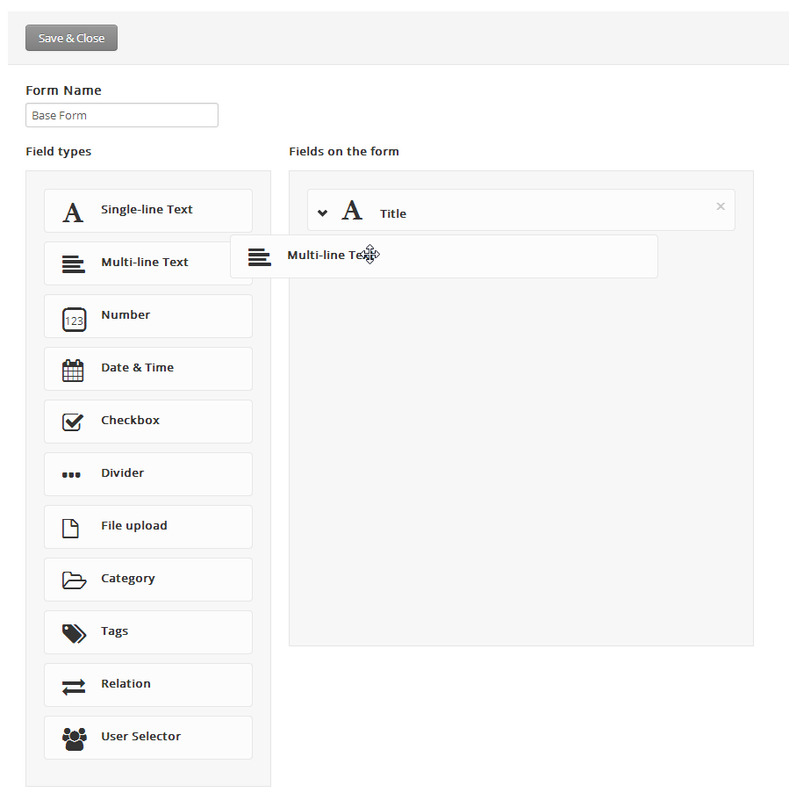 Click the pencil icon in the top of the page to open the form for editing. 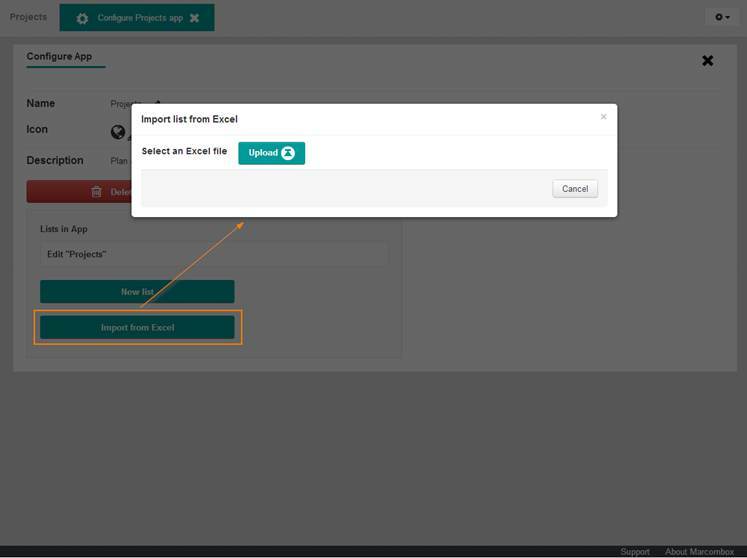 Click the Save button to save any changes to the form and close the item page by clicking the “x” in the top right corner or next to the item title in the horizontal navigation menu and you will return to the list page. 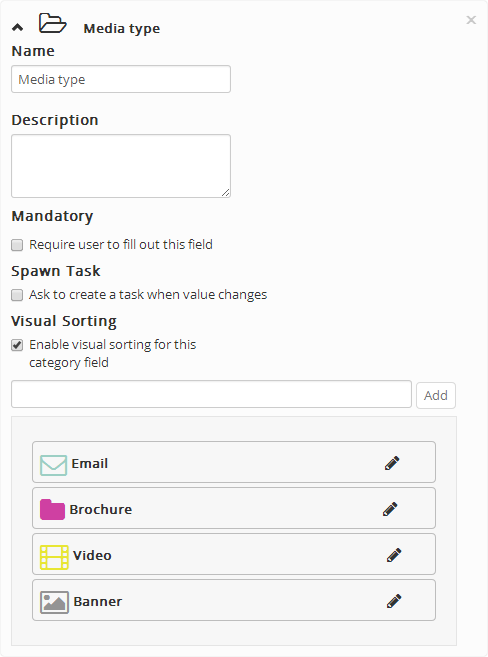 Use the checkbox to select and delete multiple items in any of the list views. 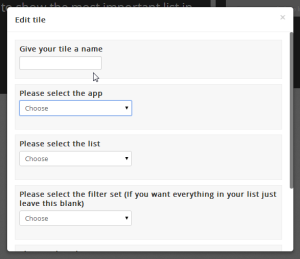 Click Delete to remove the selected items. Please be aware that deleted items can’t be restored! 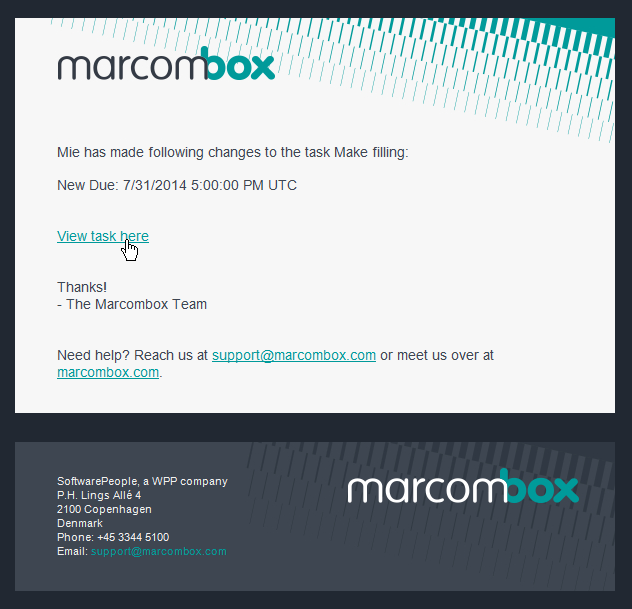 You can extract your item data from Marcombox by using the Export to Excel feature. Click the button in the top of the list and then click “OK” in the dialogue box. The Excel file is automatically generated and you will receive an email with a link for file download shortly after. Click the download link and the file will be downloaded straight away. 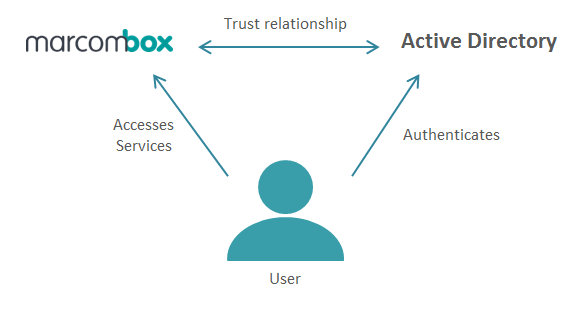 There are two levels of controlling user access in Marcombox: App level for creating separate work spaces for a group of users and Category level for making limited access areas within a list. Category level permissions can be applied for baseforms as well as Document Areas. 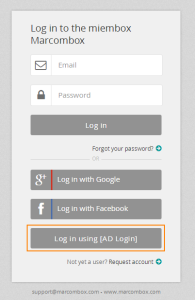 Please note: Admin users will always have full access across all apps thus overruling any group access settings. You can manage user access to your apps by creating user groups and granting them access to the app. 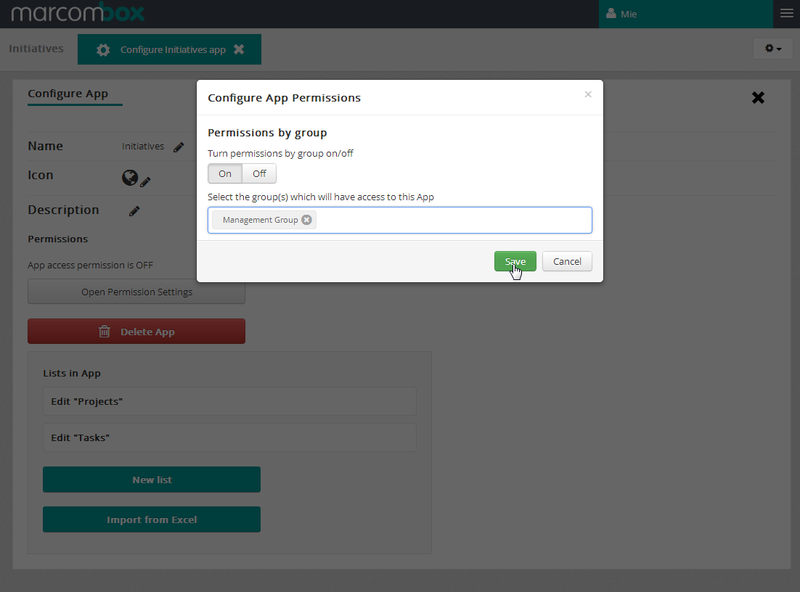 Learn how to create User groups here You assign app permission to user groups in the app configuration page. 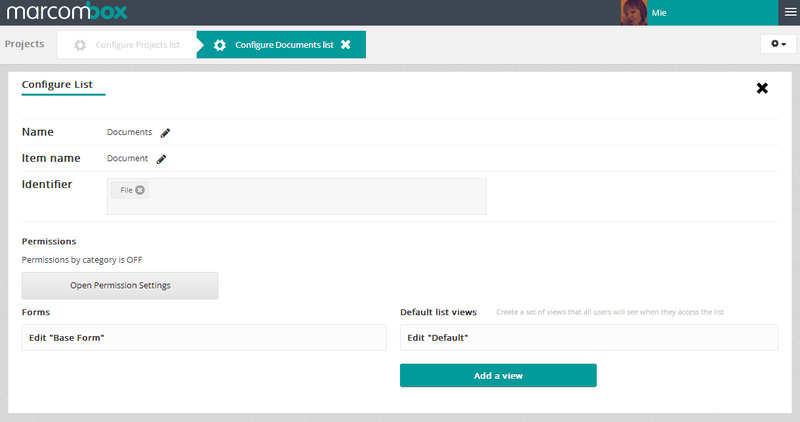 Click the Open Permission Settings button in the configuration page. 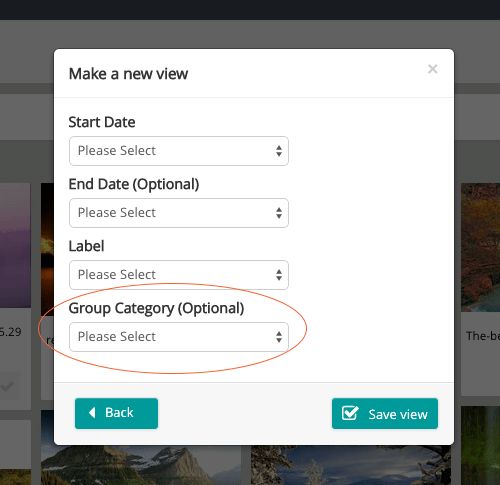 Switch permissions on and click the appearing input field to select one or more groups. Click save and the permissions will be applied. 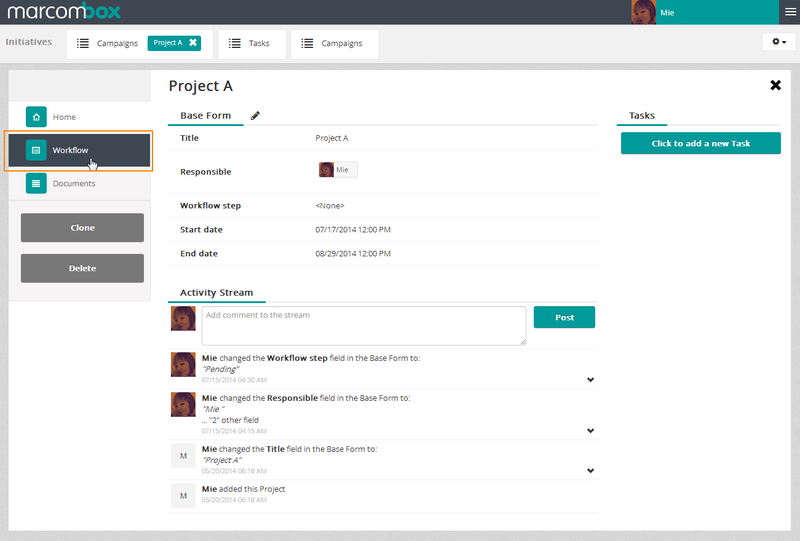 The app will only be visible to group members. To set up user permissions on category level you need to make sure that a category field has been added to the base form. Category level permissions are assigned to individual users. 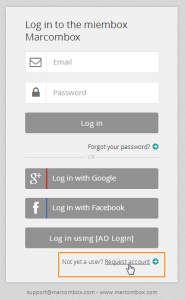 Switch permissions on in the top of the following page and select a category from the dropdown. 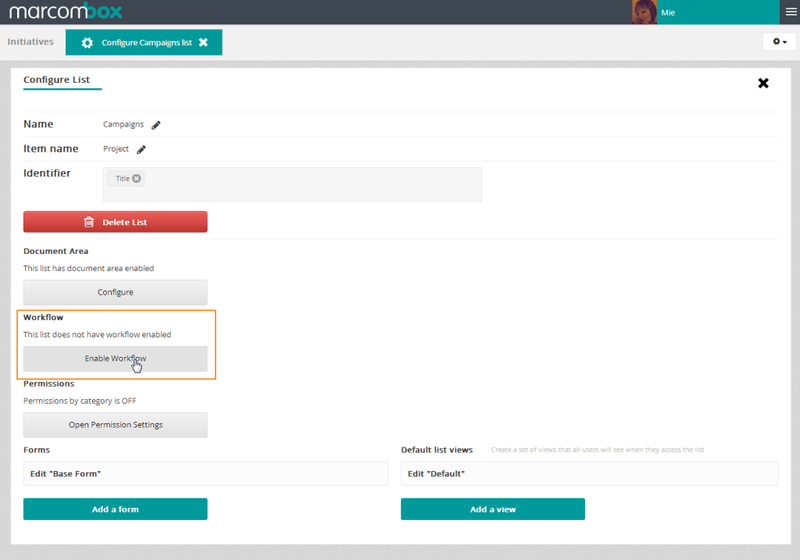 Each category option will appear underneath and you can start selecting users from the right-hand side dropdown. 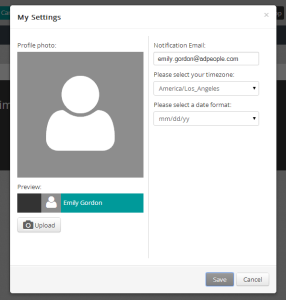 Start typing a user name to search within the user name. When users have been added the category is no longer visible to others. 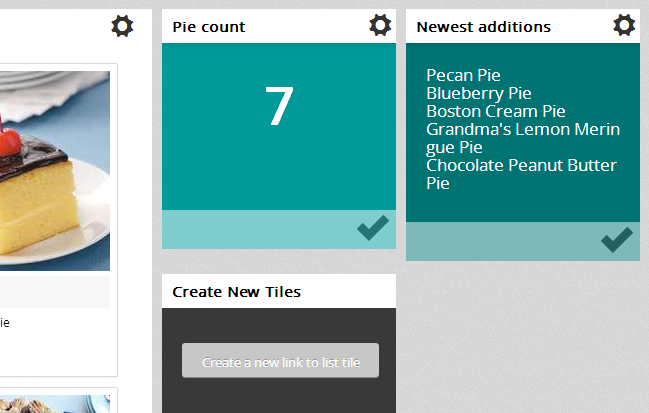 This enables hiding restricted categories in card views for example. 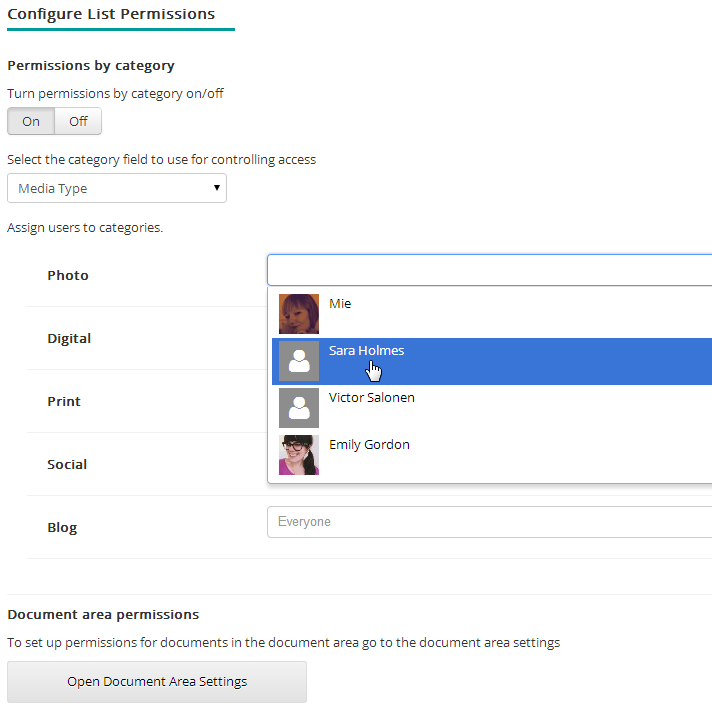 Permissions in Document Areas are based on categories and work the exact same way as list permissions and requires a category field to be added to the Document Area form. 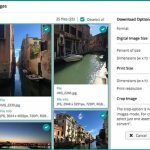 It can be handy to save filtersets for easy filtering at a later stage. 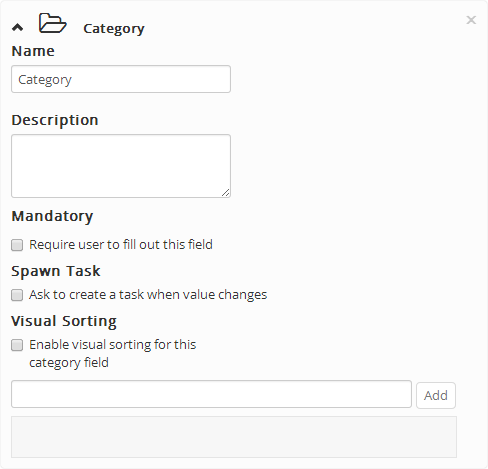 Please note: If category level permissions have been applied, only users who have been granted access to view all filter options contained in the filterset can see the filterset. 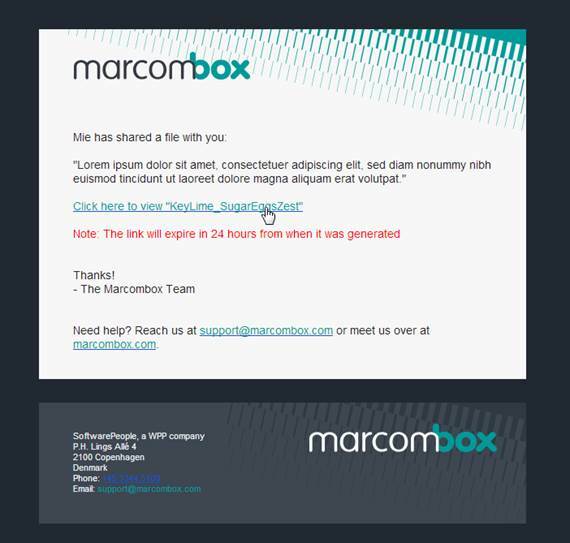 List based free text search is available in Marcombox on Single and Multi-line Text fields, and File (name) field. Add a word or phrase and hit keyboard Enter or click the search icon: If you add several worlds and want to find exact matches, you should add double quotes around the phrase e.g. “Blueberry muffin” or else you may get hits that contain either word. 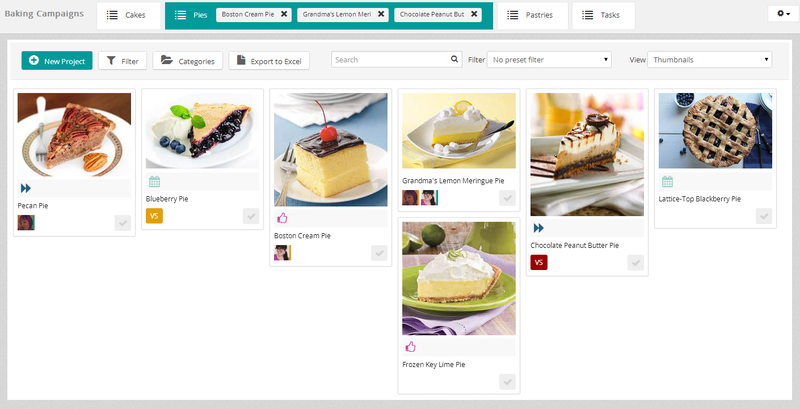 Search within categories can be applied by adding filters. 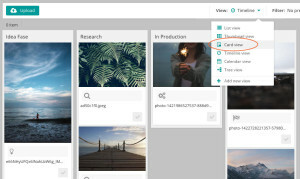 Search and Filter work in combination – e.g. 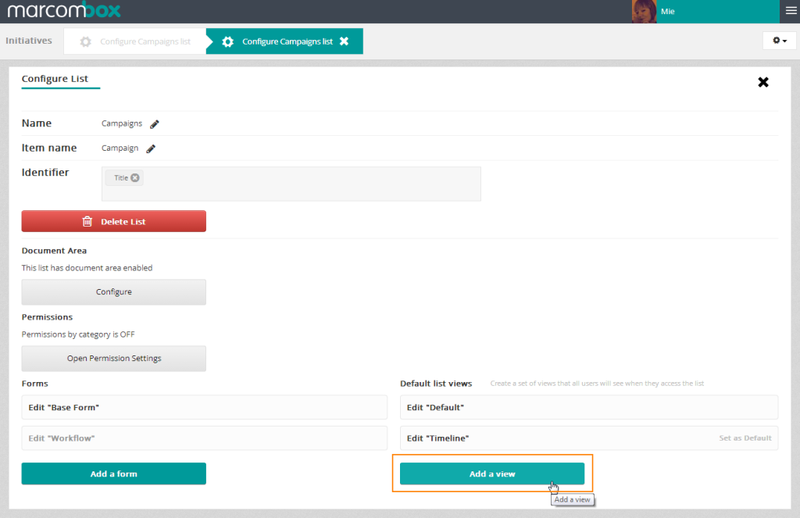 type “marketing” to the search box without hitting the search button, then add a filter, and your list will return items which meet both criteria. The Excel Export feature respects the keyword search, meaning what you see in the list is what is included in the generated Excel File. Word stemming is also part of the search functionality. 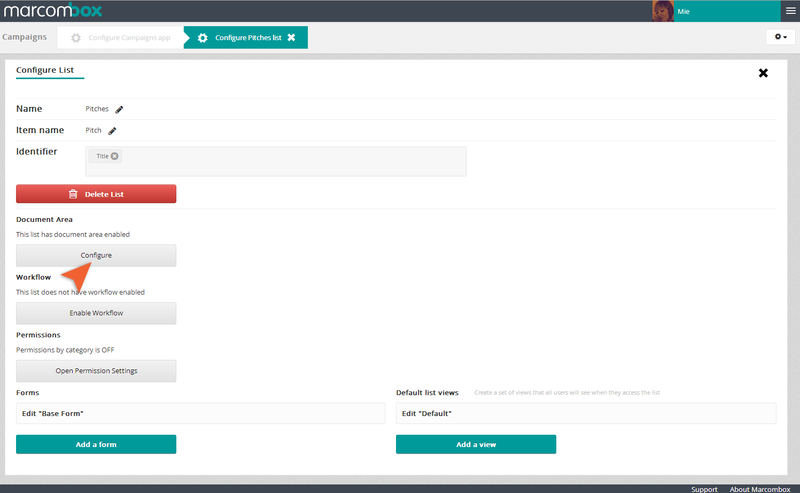 The root form of your search keyword will be compared to the database. For example if you search with “viewer” then the system will reduce it to the root form “view” and return all items containing view, viewer, viewing, preview, review, etc. 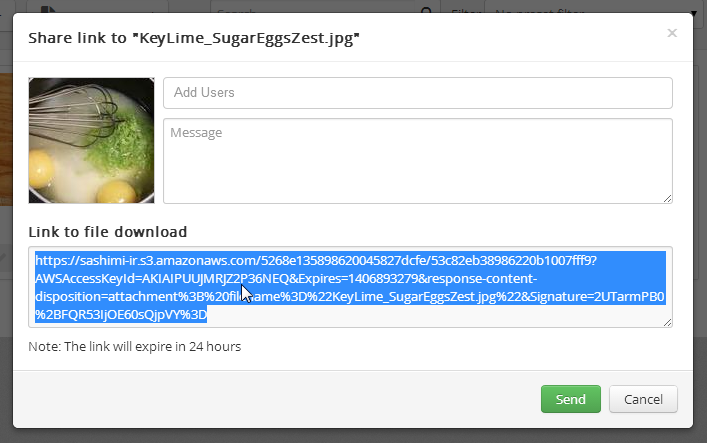 6.1 Is there a file upload limit? 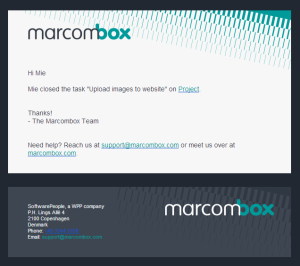 Marcombox gives you flexibility to upload as many files as you need. There is no limit on file count or total file size. We understand that the enrichment of visualization and media demands bigger and bigger files every day. So, we don't impose any maximum limit on a single file size, it can be as big as you need. 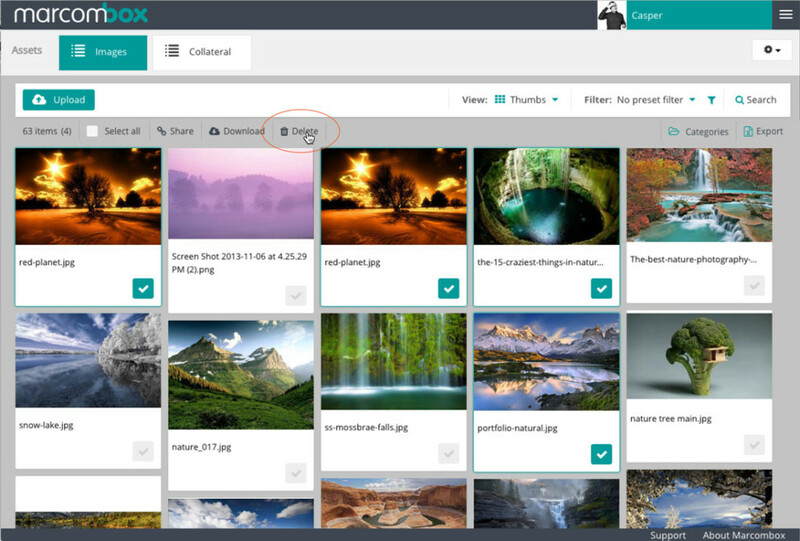 In Marcombox you can create as many views as you like for displaying different data sets and/or image thumbnails. 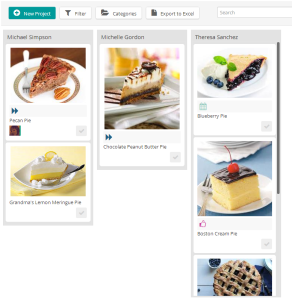 There are four different view types, List, Thumbnail, Card, Calendar, and Timeline view. 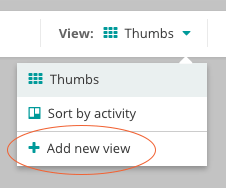 You can edit or add new views as you wish from the View dropdown menu in the toolbar and they will be available for all users. 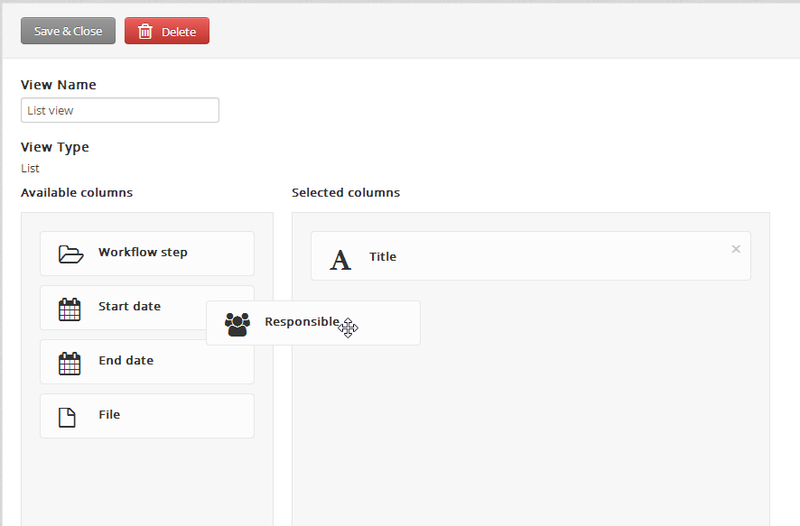 The list view is a classic table based view type with rows (items) and columns (form fields). 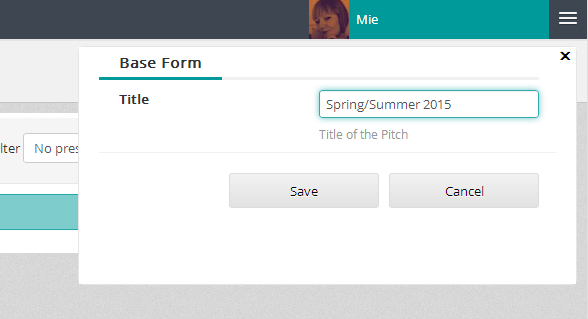 It is automatically added to each new list and shows the default Title field. 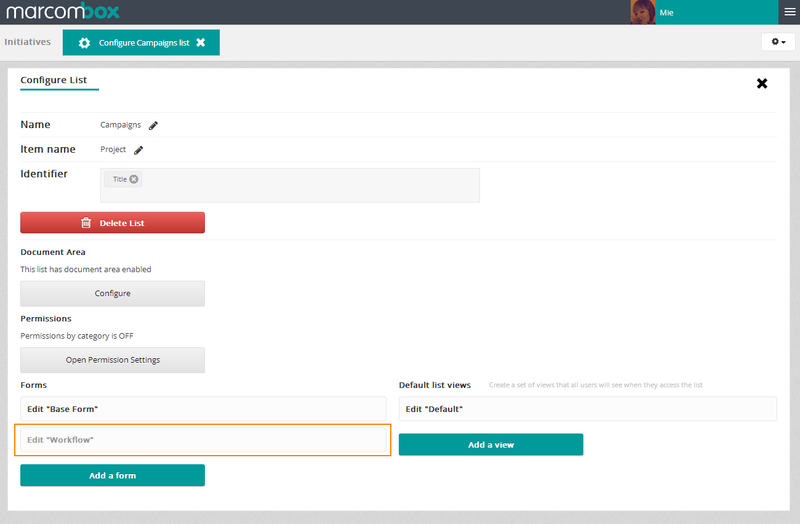 To add a new view (or edit an existing one) go to your list of choice and click the cogwheel button in the far right side – select Configure [list name]. Click “Add a view” in the bottom right side of the page. 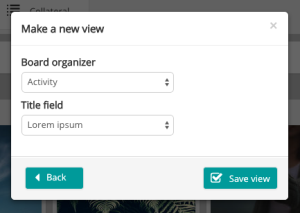 Name the view and use drag/drop to add fields from left to right column. 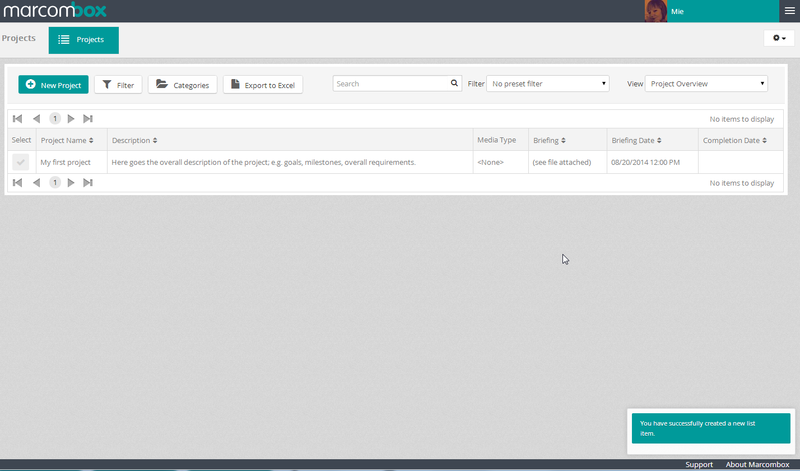 The left side column holds the fields that are available in your Base form. 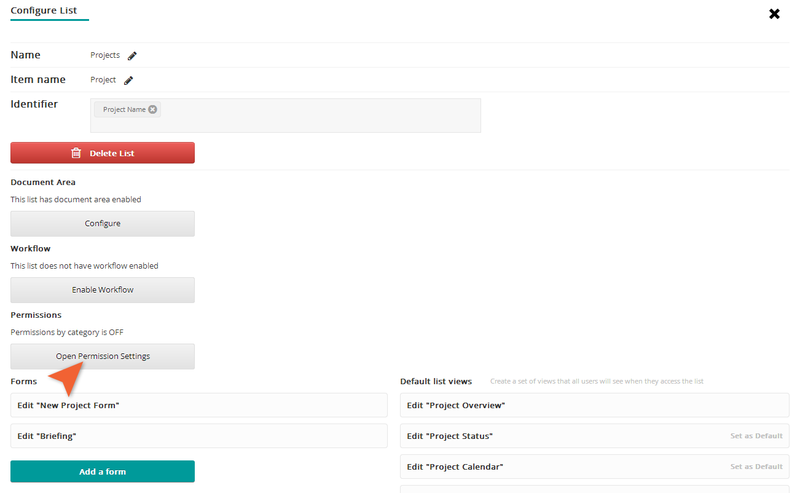 Click Save & close when you are done and close the list configuration page by clicking the “x” in the top of the page. 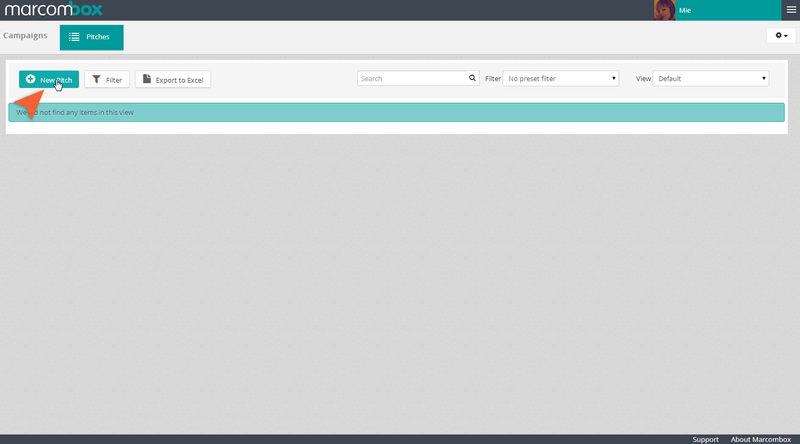 The list view is now available in the right side dropdown. 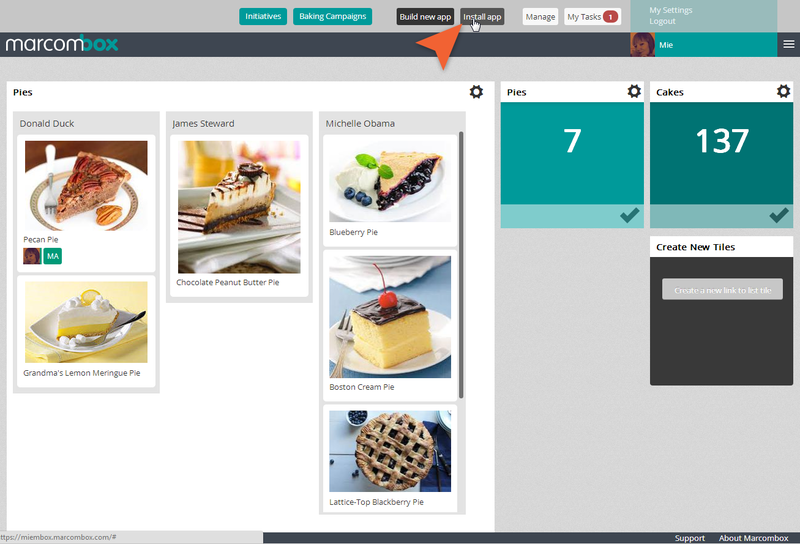 Thumbnail view is ideal for image and file sharing as it gives you a visual overview of your list content. 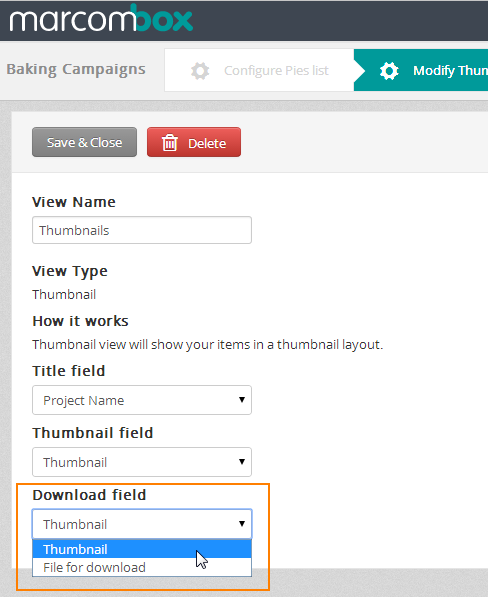 To set up a thumbnail view you need to make sure that your have at least one File upload field in your Base form. Click to open the Base form. 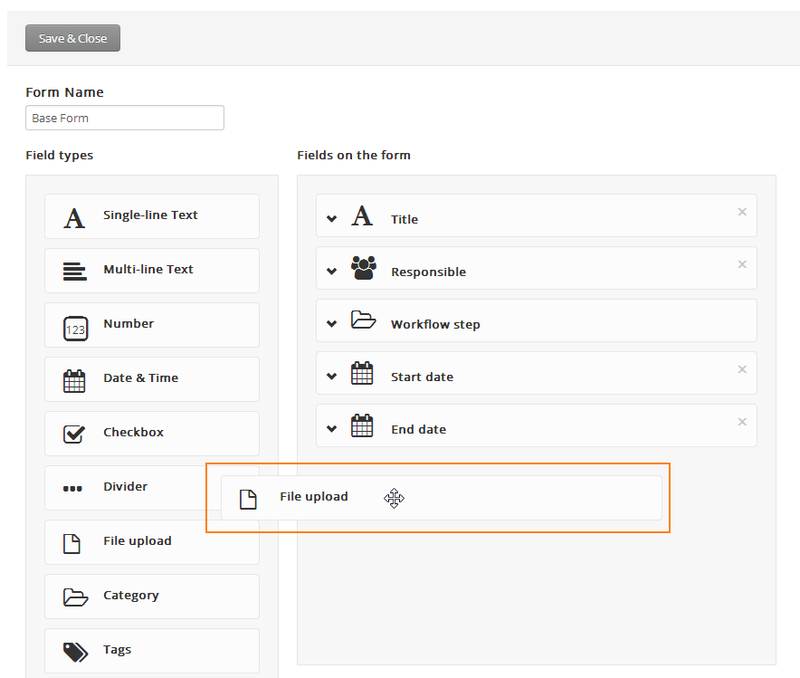 Use drag/drop to move a File upload field from left to right column – when you are done click Save & close to go back to the list configuration page. 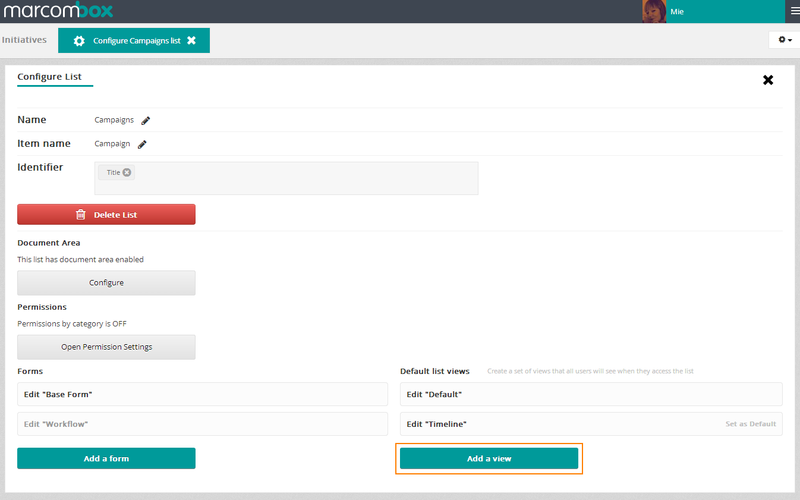 Click “Add a view” in the bottom right side of the list configuration page. 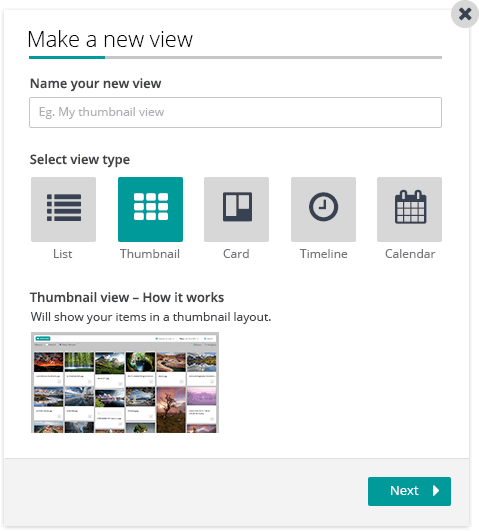 Name the view and select the view type Thumbnail. 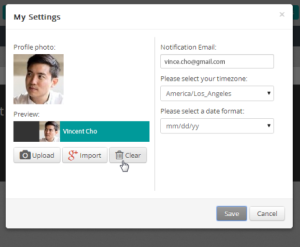 Check the view settings and click Save & close when you are done. 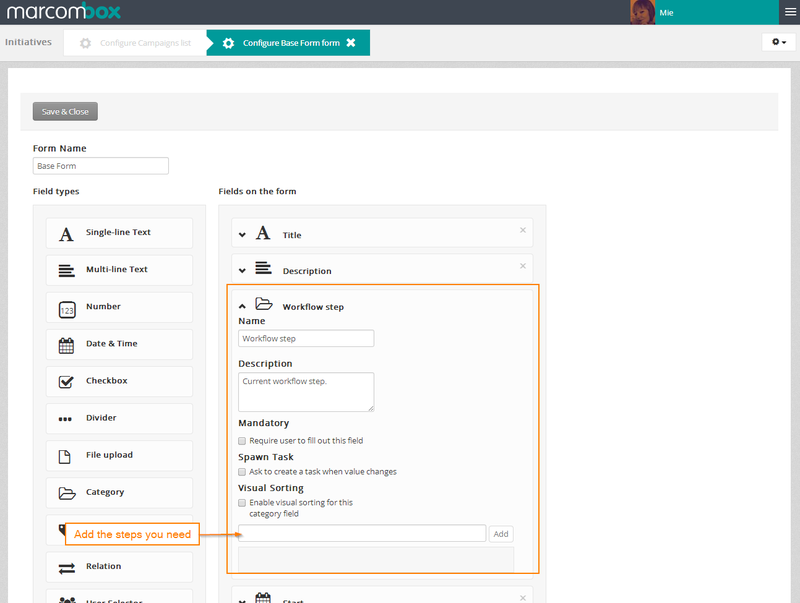 Close the list configuration page to return to the List page. 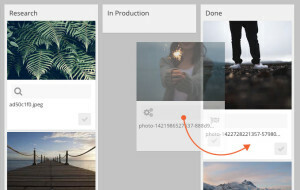 The thumbnail view is now available in the right side dropdown. 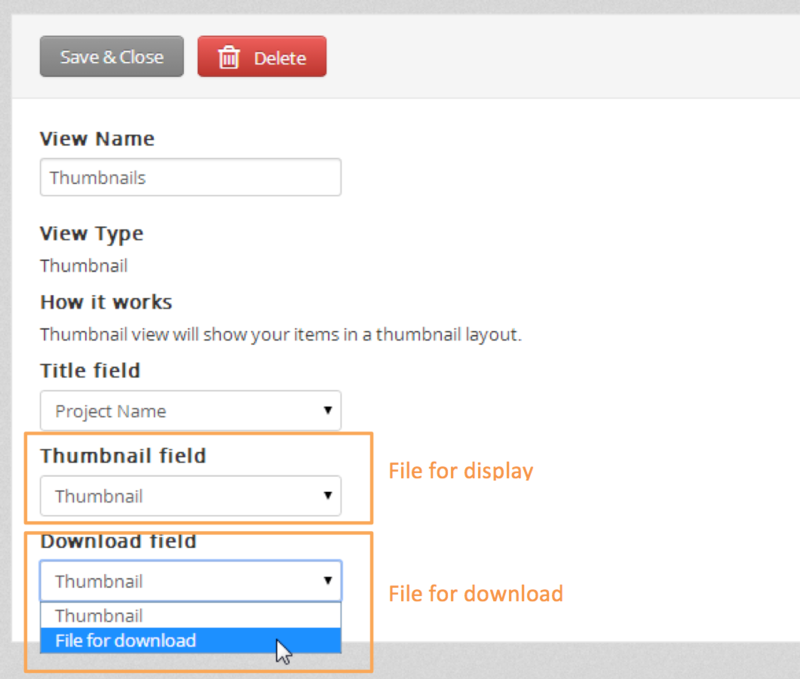 By changing the Thumbnail view settings you can select one file for display and another file for download. 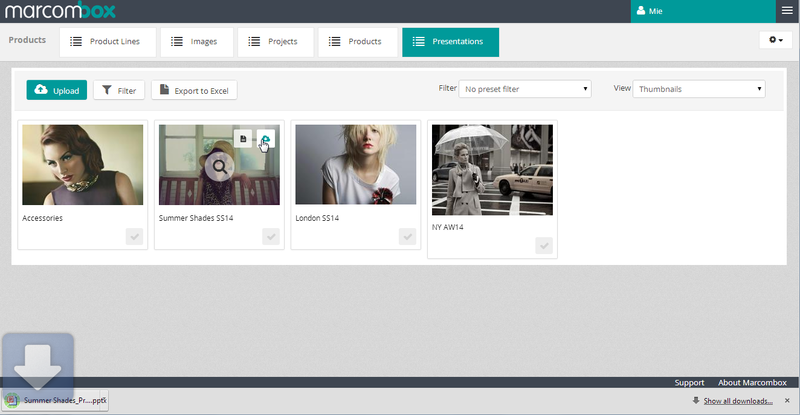 Below is an example of four product line presentations – 3 PowerPoints and 1 PDF file. 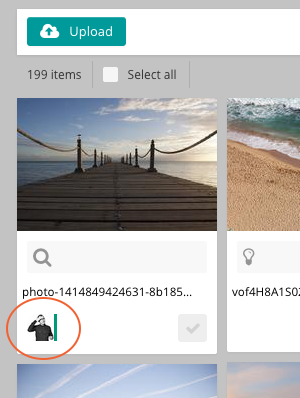 By adding thumbnail images to each item you can avoid displaying the generic file type icons. Thumbnail view Make sure that you have 2 File Upload fields - one is used for the display file and the other holds the download file. Go to the view settings and set the Thumbnail field and Download field accordingly. 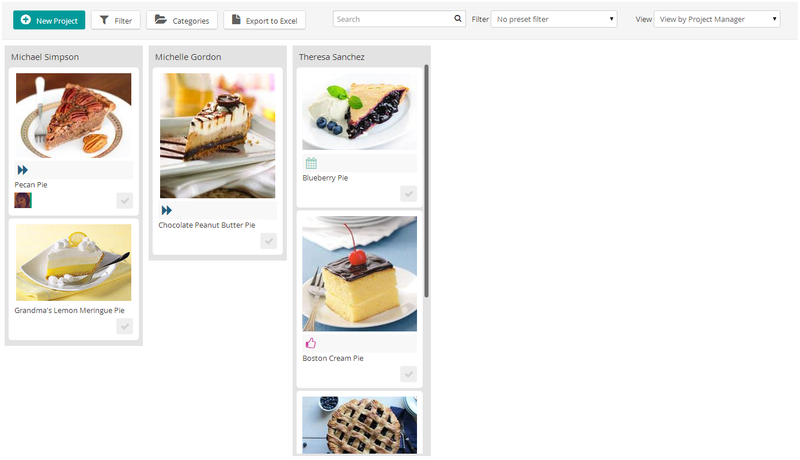 The card view visually divides your items into category columns and lets you use drag & drop to move them from column to column, thus chaging the items category. Click “Add a view” in the view dropdown. Name the view and select the view type Card. 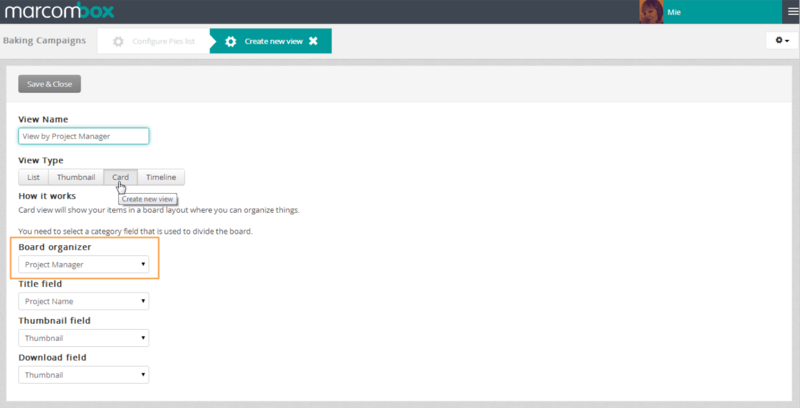 Select any available Category field as “Board organizer” and the the displayed title under the image as "Title field". Click "Save view" when you are done. 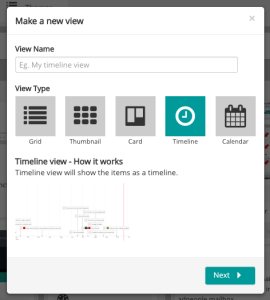 The card view is now available in the View dropdown. 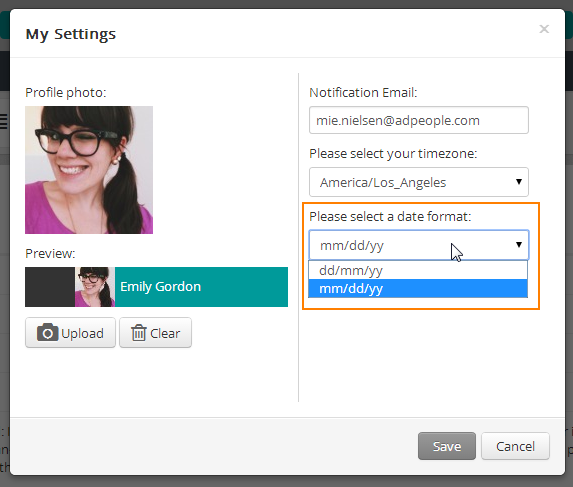 Add one or more Date & Time fields – click ”Save & Close” when you are done. Go to the View dropdown and click “Add new view”. 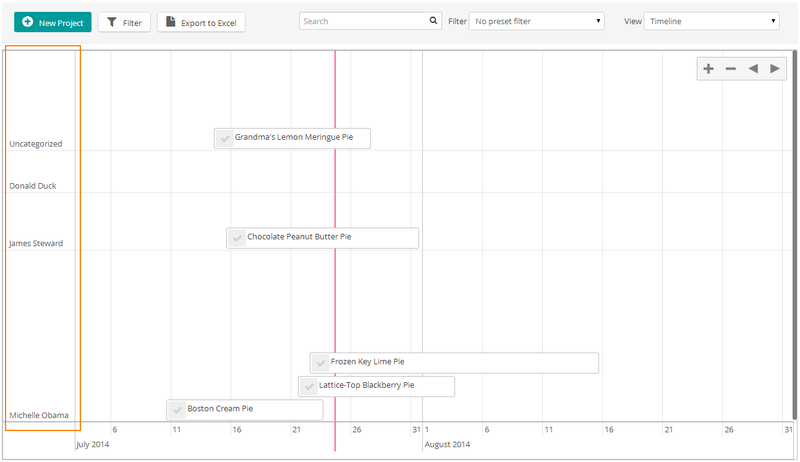 Please note: The Timeline view can only display items which relevant dates have been added. 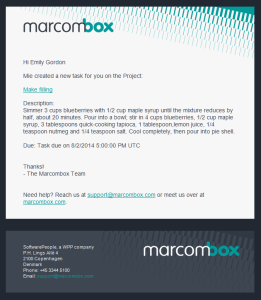 Marcombox offers a task feature to be used for activities such as assigning quick tasks to team members, for reviews, for breaking down projects into deliverables, etc. 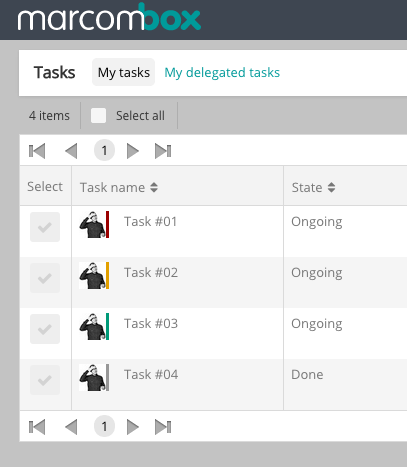 Click Save – the task will appear in the right-hand side: The task changes color according to the due date: Green (more than 24 hours left), yellow (less than 24 hours left), and red (overdue) Click the right check mark to close the task and it will be moved to the bottom of the list. 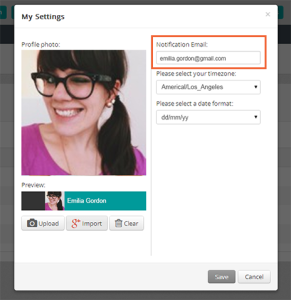 Active tasks are displayed in lists as small images or as user’s initials if profile photo isn’t available. Mouse-over to view full user name. 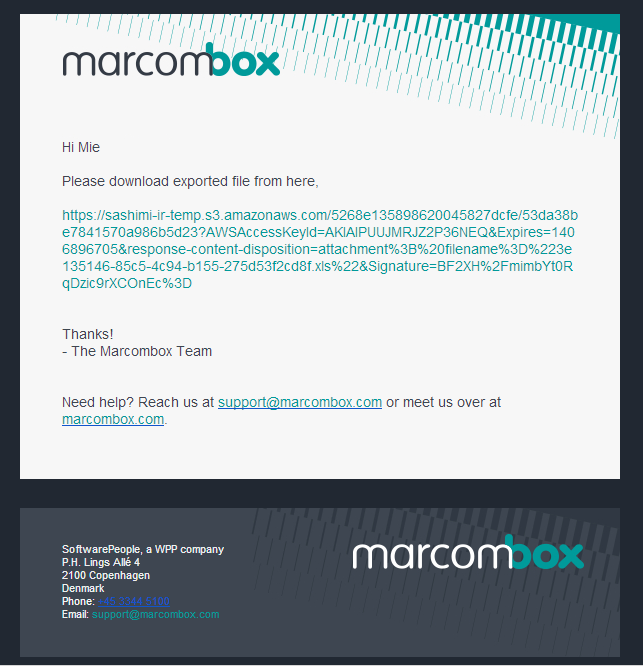 The User list provides an overview of users who have access to Marcombox. 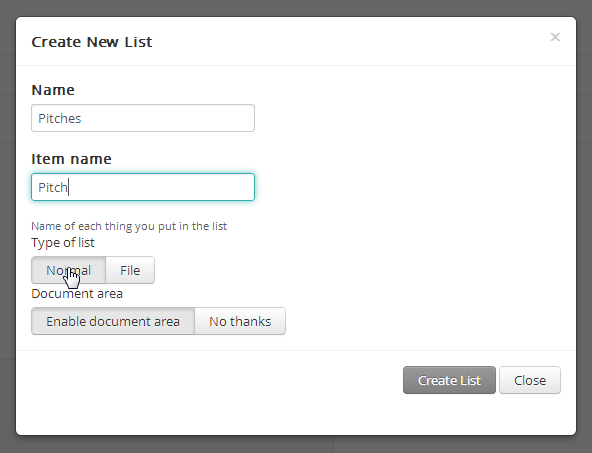 Click New User to add a user to the list, fill out user details and click Create. The new user has now been added and will receive an automatically generated email invitation. 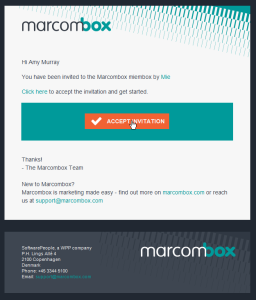 To accept the Marcombox invitation click the button/link in the email to go to the sign up page. 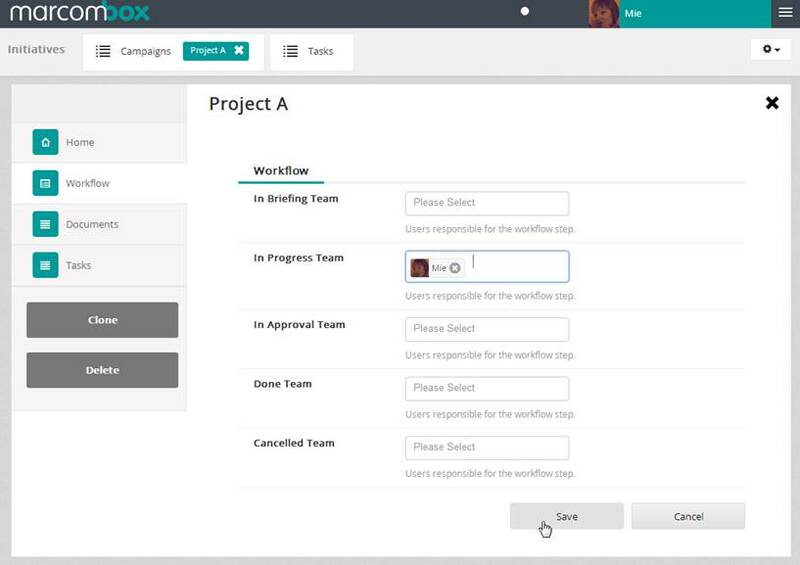 Marcombox is a cloud-based marketing project management tool. 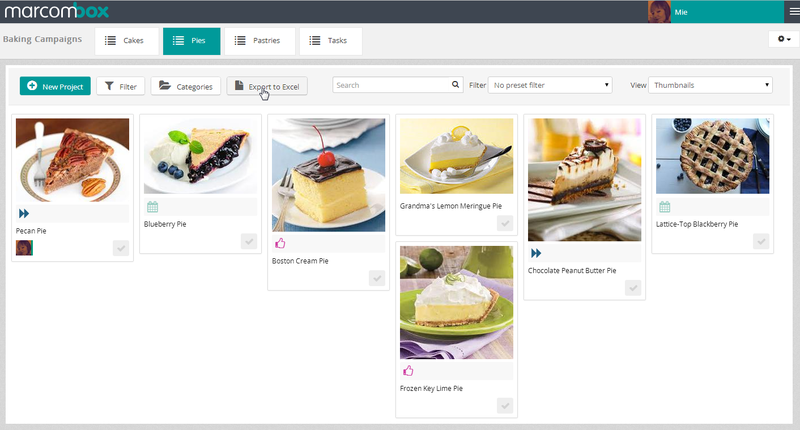 Its core functionalities include asset/content management, planning, and workflow project overview. 10.2 Which devices do you support? 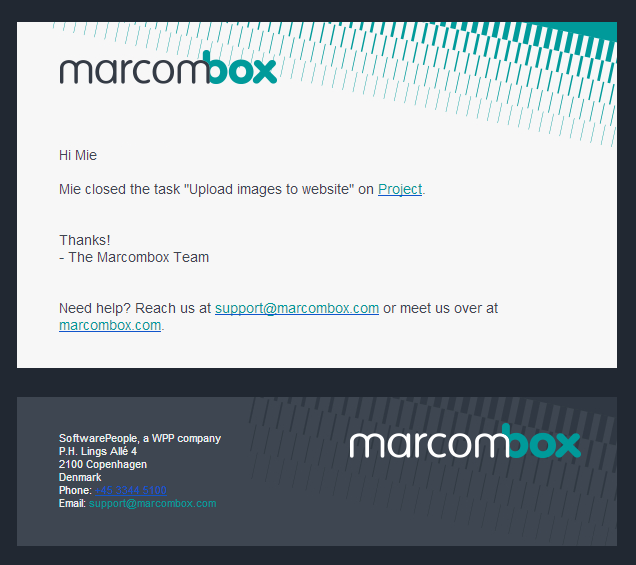 Marcombox is optimized for desktop/laptop computers. 10.4 Where are my data stored? 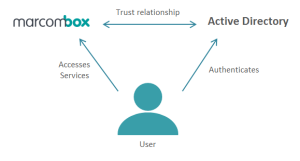 Marcombox application and database is hosted within the Amazon Web Services (AWS) cloud, which is regarded as a world-class infrastructure and one of the most advanced and flexible platforms available today. All the files are stored in Amazon Simple Storage Services (S3) which is highly secure, durable and scalable object storage. 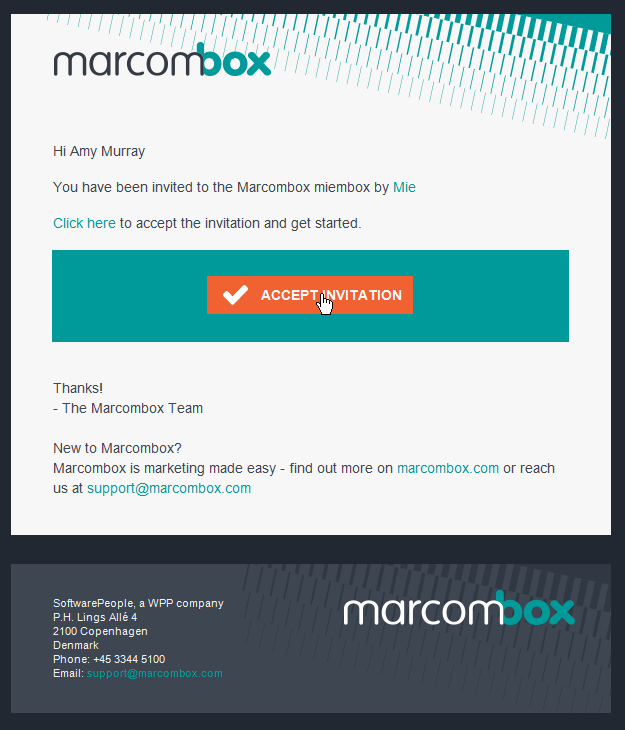 Marcombox offers you to choose from data centers near you to maximize access speed and address regulatory requirements if needed. Moreover, high durability of data is ensured by real time data replication over multiple containers paired with regular backups in multiple locations. 10.5 Are my data safe? We take data security very seriously and continuously try to ensure it from all perspectives. As a result we have highly emphasized on coding best practices against security threats, top grade hosting and data center, secure data transfer and durable data storage. On top of that, to ensure that no one can intentionally or unintentionally tap into your data, it is transferred through Secure Sockets Layer (SSL) tunnel. 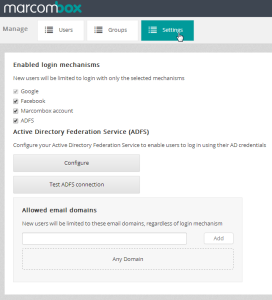 We configured the firewalls to allow minimum possible services to be publicly available. Our application architecture ensures that your Marcombox tenant is accessible to authorized users only. Also, high durability of data is guaranteed by having redundant storage mechanism on multiple facilities and real time replication. Regular data backup routine is in action with offsite shelving to handle any technological or natural disasters.